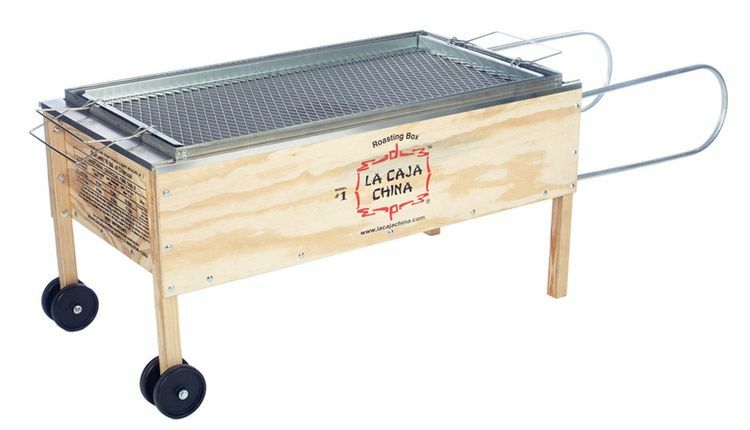 The La Caja China #1 can cook a whole Pig, Lamb, or Goat up to 30 - 35 kg, live weight. Or 16-18 whole Chickens / 4-6 Turkeys / 8-10 Pork Ribs Slabs / 8-10 Pork Shoulders / other meat or fish. Don't throw away your money on a copycat Roaster from China, that will fall apart after the first use; Buy the #1 Roasting Box in The World; La Caja China. The box that brings happiness in to the backyard! © Copyright The American BBQ Company 2011-2018 All rights reserved.